Three decades of double-digit growth and social transformation means China’s status as a global social, cultural and economic powerhouse can’t be questioned. As a market, China has grown and monetised at a rate seemingly impossible to the rest of the world, making strides to support a fast-burgeoning middle-class population with the technological infrastructure necessary to advance as a global digital leader in the 21st Century. Western brands looking in China’s direction to see what they might learn from the speed and direction of travel should quickly recognise at least one key element of the ‘China Story’ as one they can replicate if the will is there. It’s true that a unique set of conditions made China not only ripe for innovation, but perfectly positioned the nation to leapfrog traditional Western standards of innovation in favour of more agile, mobile-driven models. If European and US brands and companies want to accelerate the pace at which they drive new innovation that brings true meaning to their customers’ lives, they need to adopt the ‘leapfrog’ approach that has driven China’s breathless expansion. When it came to deciding the strategy behind 30 years of super-growth, China didn’t bother trying to merely catch up. It went for leapfrog. Even with an internet penetration rate just above 50%, the sheer scale of this 1.3-billion-person-strong economy pegs China’s smartphone use at more than 14 times the UK and its mobile payments market at 11 times the size of the US. 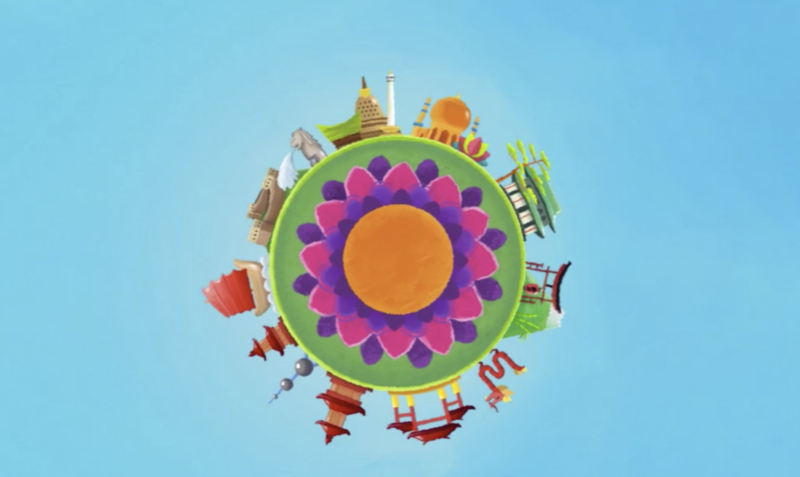 While we in the West may have reached our current digital destination via a slower journey with more stops, many here are recognising that maybe the key thing to learn from China is the transformative power of playing digital leapfrog. For in turn, the leapfrog approach continues to unlock further learnings for Chinese brands trying to understand how to stretch what is technically possible to better serve their customers. Presence is power for China’s internet giants Baidu, Alibaba and Tencent, to whom achieving such ubiquity means working without silos. 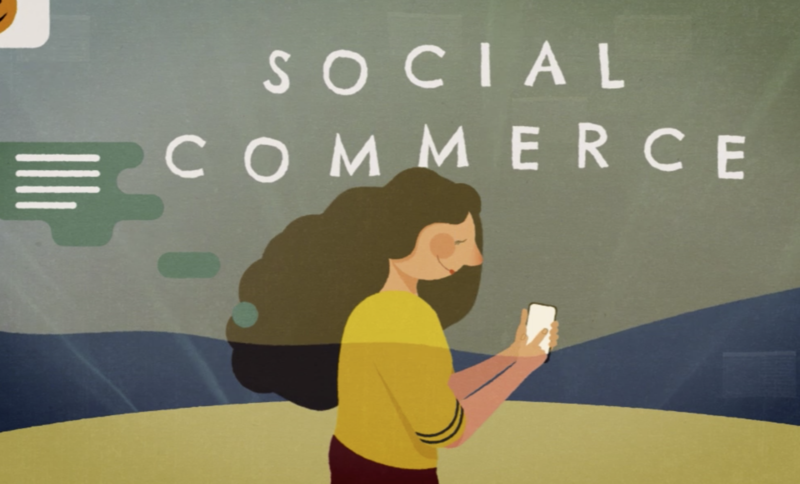 The three are present across almost the entire internet ecosystem - from social media to e-commerce to offline services - and ever integrating new technology, such as face-scan payments. The increasing success of Singles’ Day, China’s version of Black Friday, brings into sharp focus the benefits of an integrated approach. In the decade since it launched the annual shopping festival, Alibaba has developed a whole new infrastructure to support its rocketing sales - which last year topped $30.8bn. Tmall.com for instance, was developed back in 2008 as a dedicated B2C platform to to sell brand-name goods to Chinese-language consumers. Today, it is the world’s second largest e-commerce platform, engaging over 180,000 Chinese and international brands during Singles Day sales in 2018 alone. “We aim to become both the number one business partner for brands and the number one shopping destination for consumers,” said Alibaba chief executive Daniel Zhang Yong. In 2018, in addition to its regular online shopping platforms, Alibaba integrated food delivery, food and lifestyle services, a supermarket chain, a hypermart operator and other offline retailers as part of its Singles Day sales and marketing offer. In the West we tend to say: “There’s an app for everything”. In China, it would be more accurate to say: “There’s one app for everything”. That app is WeChat. Developed by internet giant Tencent, WeChat is a multi-purpose app with messaging, social media and payment functions at its core and more than a billion monthly users. As The Next Web (TNW) recently described, what started out as a Chinese copy of Whatsapp quickly evolved into something far more powerful. 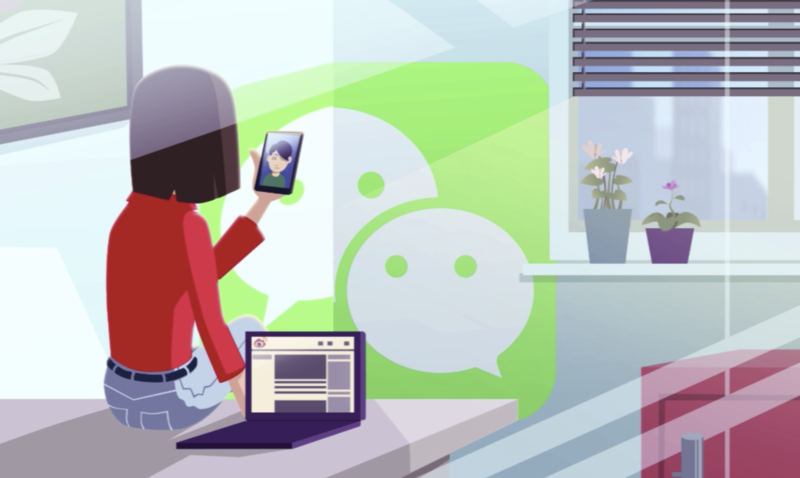 WeChat was a basic messaging app with phone and video calling capabilities before it expanded into a full blown social media network with pages for photos, linking and liking, commenting and updates. When it added functions such as taxi hailing and food delivery, users started experiencing the leapfrog effect and ecommerce and fund transfers weren’t far behind. Now WeChat pay allows people to settle restaurant bills and pay for groceries and book and pay for flights. Small stores and vendors encourage shoppers to subscribe to their WeChat official accounts to qualify for discounts. Teams and departments at work use WeChat groups to share documents and video conference one another. 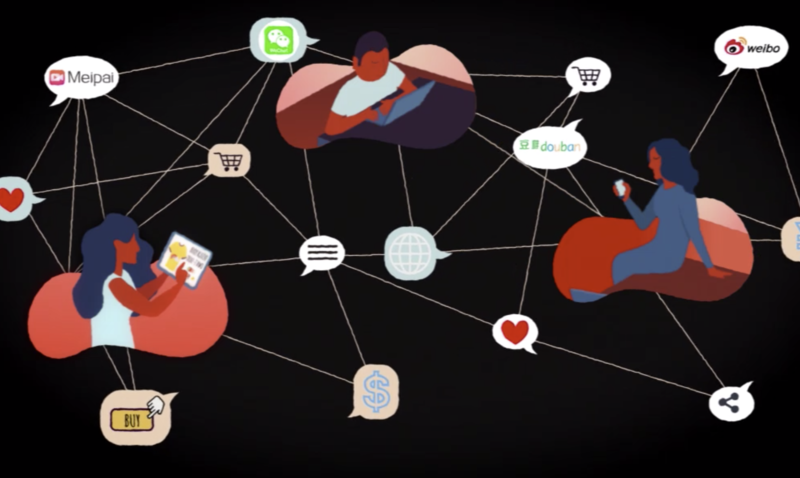 WeChat’s search function allows users to research products they’re interested in, find news on certain topics from the media, the public and their friends. Each of us in the West is still used to configuring the dozens of apps and platforms that make up the personalised ecosystem of our daily lives and hoping that the APIs allowing them to smoothly integrate are working. The Chinese never need to leave the sole platform of Wechat. As TNW says, “it embraces the functionalities of Whatsapp, Facebook, Venmo, ApplePay, Amazon, GooglePlay, Skype, Uber, Yelp, Expedia, and more. As everywhere else, the Starbucks model proved exceedingly popular in China, paving the way for a coffee culture boom. Enter Luckin Coffee: a chain that managed similar growth in a single year of its existence to that achieved by Starbucks in 12 years. Now, with technology at the heart of its offering, the younger coffee chain believes it can beat Starbucks in China. With a fresh online to offline (O2O) approach to customer experience, delivery, pricing and branding, Luckin Coffee has been described as having an “Apple Store” feel. Stores are cash-free and till-free, operating entirely on an app-based model that allows customers to choose from pick-up or delivery. Whereas customers once had no other option than to stand in line at Starbucks, Luckin Coffee built its model around having just as many “delivery kitchens” as stores, integrating delivery seamlessly from day one. Starbucks, on the other hand, only began to introduce delivery in China in August 2018. Such stories of success don’t come easily. Investing in growth is a commitment most businesses would pay lip service to. But when it comes to innovation, skills and thinking about future growth, there’s a difference between the mindset required to ‘keep up’ and that needed to ‘leapfrog’. As early as 2013, Dan Sullivan, creator of Strategic Coach, was talking about how it’s actually easier to set yourself up for 10X growth than it is to prepare for 2X growth. While that’s a counter-intuitive notion to grasp, there are steps you can take to prepare your organisation to adopt a leapfrog approach with all its benefits. The biggest and perhaps most essential ingredient of successful and meaningful innovation is the will to be better and the vision to work out how. When it comes to learning, training and skills, companies simply looking to tick boxes will only ever be likely to keep up - or not. It is those that focus their investment in training because they want to be part of leading and shaping the future that will most closely ape the China’s experience of next-level growth. 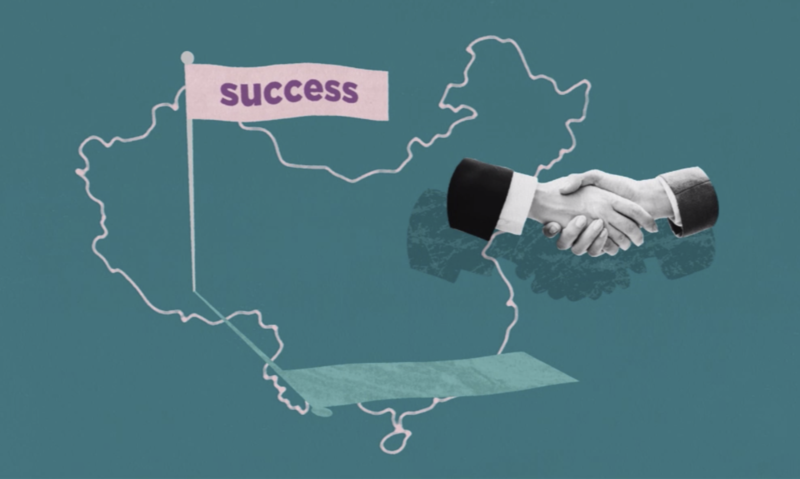 Our lessons on China delve into more of the kind of stories of advancement you’ve read here and what it took in terms of technology - but also people and skills - to achieve them. For more information on these lessons, check out our course pages on: eCommerce in China, Social in China, APAC Media Marketplace.